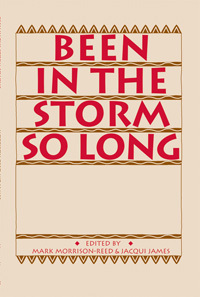 In light of 2006 General Assembly's responsive resolution on racism and classism, Been In the Storm So Long is back by popular demand. First published in 1991, this stirring volume features more than 40 selections from the spirited voices of 29 African-Americans. Contributors include David H. Eaton, Marjorie Bowens-Wheatley, Rosemary Bray McNatt, Thandeka, Egbert Etherlred Brown and more.